Following Wonder Woman and Batman, the latest addition to the Barbie Batman v Superman: Dawn of Justice line has finally been revealed, and Mattel definitely saved the best for last. If being dreamy was a superpower, this version of the man of steel would be invincible even to kryptonite. 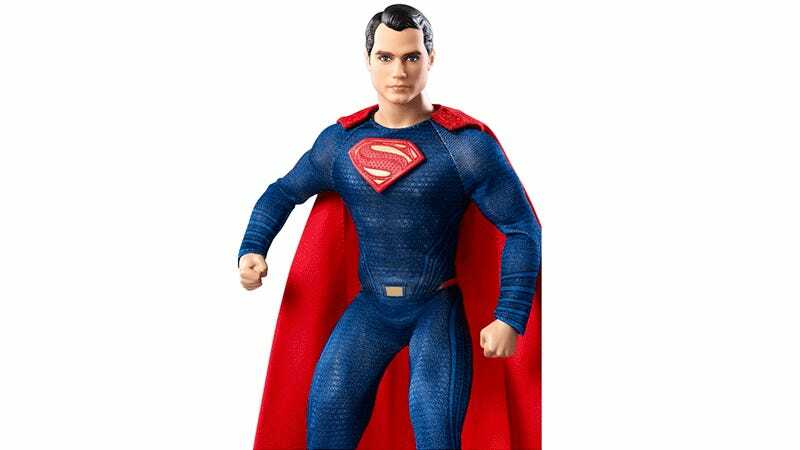 Bearing a passing resemblance to actor Henry Cavill who’s been our Superman for the past couple of DC films, the doll comes impeccably dressed in a miniature, but incredibly detailed, costume. The doll is now available for pre-order on The Barbie Collection website for $40, but you’ll have to wait until March when it officially ships for him to do battle with the Batman version.